Available for 8, 12 & 16 tablets Lightning or Micro USB. This mobile case can quickly deploy a digital classroom of 8 to 16 tablets. Equipped with a pre-wired slot for a WiFi hotspot, this Magellan allows to control the WiFi activation, thanks to its ON/OFF button. Its KSync system connected to the Lightning or Micro Usb cables (already integrated) allows to charge and synchronize all the tablets, closed lid. 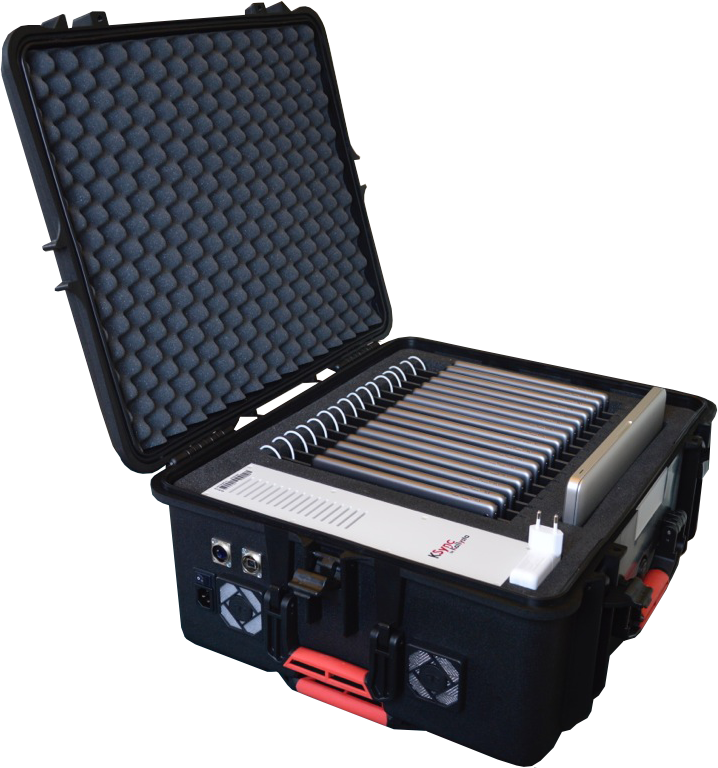 An ideal solution for efficiently managing, transporting and securing a fleet of tablets !